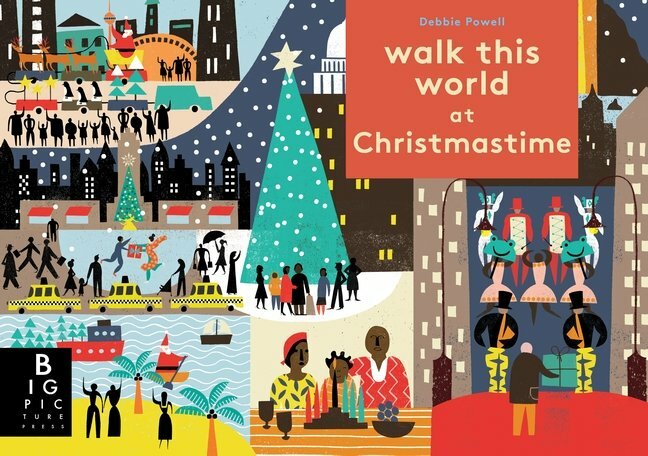 Walk This World at Christmastime, a twenty-four-page picture book, is an interesting and unusual addition to your holiday books. Set up as an advent calendar, the relatively sturdy lift-the-flap windows numbering one through twenty-five reveal images and accompanying text. Each page has additional flaps for curious fingers to discover, bringing the total of interactive windows to more than seventy. The left-hand page contains a four-line loosely rhyming poem and the concluding line “Where am I?” Beautiful background illustrations and clues beneath the flaps help readers solve this question (the answer is provided on the right-hand page). A younger child will enjoy the many tactile experiences and the colorful, abundant pictures. Older kids will gain a deeper understanding of how different cultures celebrate Christmas around the world, learning our similarities such as “Candles at Christmas are a symbol of the triumph of light over darkness.” New ways to celebrate will be discovered as well: “The Gävle goat is a giant Swedish Yule goat made from straw.” Diversity in religious practices are explained: “In Lalibela, Ethiopia, Christian pilgrims dressed in white robes flock to the beautiful rock churches.” Interspersed historical tidbits inform, for example, that the first advent calendar was made in Germany in 1851. Walk This World at Christmastime concludes with an easy-to-follow world map depicting the book’s journey. A dotted line connects the countries and continents, uniting our world through our holiday celebrations. 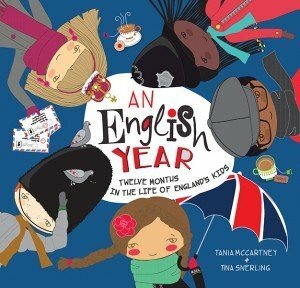 Read about illustrator Debbie Powell here. 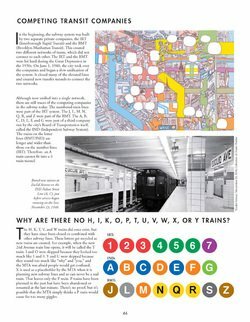 Ever gotten lost on a subway? In New York? I have and I’m from New York! But once you’ve navigated your way around and feel you’ve got the hang of the subway, it’s like you’re on top of the world, not 35 feet underground (like at the 42nd St. Station). You might never take the bus again. I’ll start this review by pointing out that a purchase of Lost in NYC: A Subway Adventure, is like getting multiple books in one! 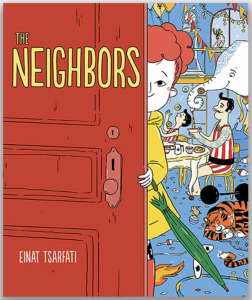 First there’s the graphic novel adventure featuring Pablo, a boy new to both his school and to the city. Alicia, a classmate, volunteers to partner with him on a field trip to the Empire State Building using public transportation. At the uptown Manhattan subway station (96th St.), the pair get separated from their class and have to find their way alone. Eventually even Alicia and Pablo get separated which may seem frightening, but it’s never presented that way. In fact, it’s empowering for kids to see their peers commuting this way successfully. Demonstrating common sense, the two make tracks individually to the Empire State Building, one on foot, the other using a cross town train. Ultimately, across a crowded lobby, Pablo and Alicia are reunited in time to join the tour, running towards each other like in a scene from a film. They’re clearly overjoyed, but Mr. Bartles, their teacher, is not as impressed. Interior image from Lost in NYC: A Subway Adventure by Nadja Spiegelman with illustrations by Sergio Garcia Sanchez, Toon Books ©2015. In addition to the adventure, there’s the budding friendship story. As the bungled journey evolves, Pablo eventually comes to appreciate Alicia’s gesture of kindness to buddy up on the field trip which he so vehemently rejected at the beginning of the book. It’s through this friendship that Pablo is able to look at New York with new eyes and begin to feel at home. Last but not least is the inclusion of archival photographs from old New York taking readers back in time to the 1800s and into the 20th century for a glimpse of what early subway stations and construction on them looked like. There are also more details about the Empire State Building and a Further Reading & Resources for those who, like me, cannot resist finding out more about the Big Apple’s history. Author Spiegelman has packed a plethora of interesting information into this engaging and extremely original book. I had no idea that the Empire State Building, where my uncle once worked, has its own zip code (10118) and had its grand opening on May 1, 1931, 84 years ago today! 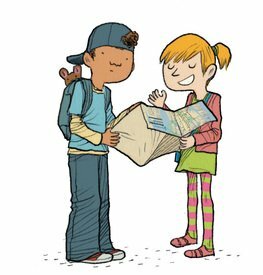 Lost in NYC closes with Tips for Parents, Teachers, and Librarians to make young readers’ experience of diving into a TOON graphic novel more pleasurable. 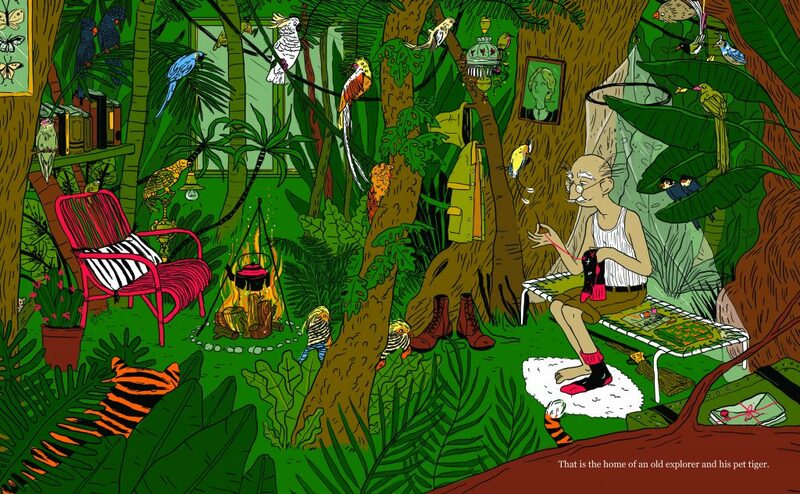 I have to give a shout out to the amazingly detailed illustrations by Garcia Sanchez. My favorite is the angled perspective of the Empire State Building as the school children zoom up to the observation deck in one of seventy-three elevators. Early on I noticed a man taking photos in almost every scene, but I didn’t notice the policeman watching him. Sanchez, while on a reconnaissance mission for the book, must have aroused suspicion. In a humorous touch, the artist has cleverly inserted himself and the cop who followed him into the story so be on the lookout! 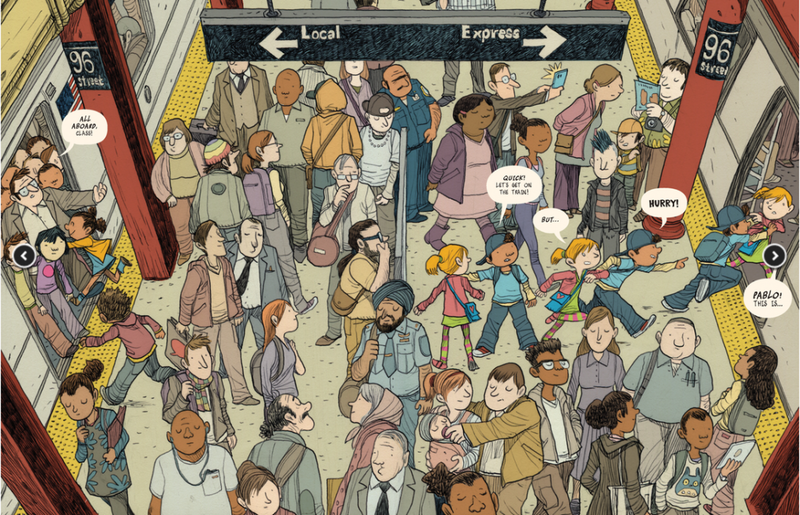 Between the diverse cast of characters, the compelling storyline and the excellent artwork, I have to say I am very happy to have found Lost in NYC: A Subway Adventure. Click here to download a guide for teachers. Local L.A. Author, Susan Lendroth, Shares Her Insights About Neighborhood Gardens in a Clever Play on the Beloved Children’s Song. Lendroth’s new read aloud, sing aloud picture book, Old Manhattan Has Some Farms, (Charlesbridge, $16.95, Ages 3-7) is a clever way to introduce urban farming to youngsters while also encouraging interaction with the enjoyable and catchy E-I-E-I-Grow! refrain. 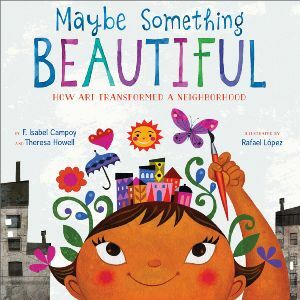 The places highlighted in the story are (Manhattan) New York, Atlanta, Chicago, Toronto, Seattle, and The White House in D.C. Little ones will get a brief tour of North America while learning all the different ways to grow food in lots of different locales. Whether you’ve got a windowsill or a rooftop, Lendroth’s included a variety of garden venues that should make getting started a looked-forward-to adventure. Illustrator Endle’s bold, primary colored art is cheerful and warm like the sunshine, but she even makes a rainy Seattle inviting with swirls of clouds against a lavender sky. Best of all, Lendroth’s included in the end pages what she calls Green Matters with more info on all the ins and outs of urban gardening such as beekeeping, hydroponics and worms. 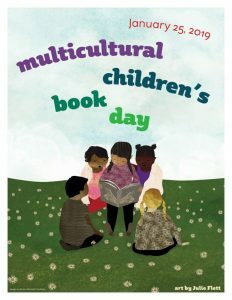 There are links to additional resources and a free song, too, from Caspar Babypants. Good Reads With Ronna: Old Manhattan is quite different from your other books. When did the seed of this story begin germinating? Susan Lendroth: Thanks for asking that question, Ronna; I really hadn’t thought about it before now. The truth is that my books — published and unpublished — are all over the map, but yes, the first four that were published all dealt with the past in one way or another, while Old Manhattan Has Some Farms is definitely current. The rhyme just popped into my head when I read an article about a rooftop garden in New York and sort of hummed to myself, Old Manhattan Has a Farm … It’s a bad habit of mine, singing and/or rhyming without warning. I have fought my tendency to write in rhyme because the market for rhyming books is smaller than for picture books in prose. However, sometimes, a rhyme just breaks free, and there is no corralling it. GRWR: Why do you think the public is experiencing a renewed interest in urban farming and is this a passing trend or here to stay? Susan Lendroth, author of Old Manhattan Has Some Farms, Charlesbridge Publishing, 2014. SL: Unless we find a more efficient way to clean the air than plants do as a by-product of photosynthesis, I hope making our cities greener is now the norm rather than the exception. Throughout human history until the last 100-150 years, it was commonplace for householders and market gardeners to grow produce in urban areas. Before the advent of fast transportation and refrigeration, it was the only way to put fresh fruits and vegetables on the table. We moved away from that system when it became possible to mass produce food and truck it in. However, another product of our fast-paced age, the internet, has made accessible a great deal of information about the harmful effects of certain pesticides, and people are concerned about the source of the foods that they are eating. Buying from reputable local growers and growing their own foods gives consumers more control. I like to think that our last 100 years of totally separating food sources from consumers was the aberration rather than the norm, but I can’t predict the future. GRWR: The farm to table movement is something I’ve noted in more restaurants of late. To what do you attribute this? SL: Fresher produce tastes better. Restaurant patrons can visit farmers markets just like chefs do so they are becoming more savvy about what is available and more discerning about what they want to eat. Interior spread from Old Mahattan Has Some Farms by Susan Lendroth with illustrations by Kate Endle, Charlebridge Publishing, 2014. GRWR: I just visited Manhattan where The High Line on the West Side was attracting scores of visitors who want to be surrounded by nature. There’s something similar in Paris, too. Do you think this is the next phase in cities around the world? SL: Oh, I hope so. As cities and their satellite suburbs cover larger and larger stretches of land, it pushes the “countryside” further away. No one should have to commute an hour or two to find a shady nook. And the green spaces are also the cities’ lungs, helping to clean the air and lower the temperatures. GRWR: Old Manhattan Has Some Farms is a great idea to get kids excited about growing fruit, vegetables, herbs, and getting honey from beekeeping. Did you grow up in a city and do this as a child? And if not, do you do it now with your daughter? SL: I grew up in a suburb of L.A. where we had a nice-sized backyard. My parents planted a few veggies for us to tend as children, but Mom was more into roses than radishes. I do remember corn and tomatoes, but unfortunately, recall a bumper crop of tomato worms more than our harvest. My daughter and I live in an apartment with a private patio, but it’s shaded for most of the day which means that while tropical plants thrive there, when it comes to sun-loving produce — not-so-much. When my daughter was three-years-old, we planted a few seeds in containers lined up against a sunny wall in the carport. I don’t know if the bees failed to find and pollinate the blossoms or (more likely) the pots were far too small for the plants, but we raised lots of leaves and one watermelon the size of a walnut. Now I stick to herbs on the windowsill. Basil is hearty enough to survive even my poor gardening abilities. 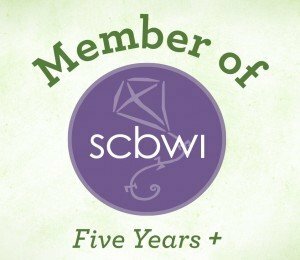 GRWR: You’re so knowledgeable on the subject of sustainable gardening and even include great resources in the back matter of the book. How can parents, schools and even our government encourage more Americans to go green? – make donations to community organizations that reclaim lots, plant school gardens, etc. – buy a few potted herbs at the market and let your children tend a windowsill garden, and then cook with them — sprinkle basil on pizzas, dill in a salad, etc. Let everyone taste how fresh makes foods pop. Interior spread from Old Manhattan Has Some Farms by Susan Lendroth with illustrations by Kate Endle, Charlesbridge Publishing, 2014. GRWR: What else would you have liked to have included in the book that space simply did not permit? SL: Actually, this is one of the first times I wrote a book where I didn’t feel constrained by the word count. One of the benefits of rhyme is that it serves as a kind of shorthand where much is packed into a few words. Plus, I was allowed a section for back matter to explain concepts further so I was satisfied. However, I am sure that there are many elements other people may have wanted me to include, such as backyard chicken coops or cities of different syllable counts, like Portland or Dallas, that just didn’t fit my rhyme pattern. GRWR: In your opinion, which city or state is doing the best job of promoting urban farming? SL: I have no way of ranking the efforts. What I do find amazing is how many of them are taking place, from city officials greening up rooftops to municipal codes being changed to allow beekeeping to an edible garden being installed at AT&T Park, the baseball stadium of the San Francisco Giants. Whether a city or state’s efforts is large or small, the fact that any effort is being made should be applauded. I’ll leave the measurement of those efforts to someone else. 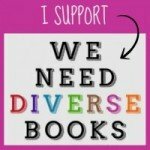 GRWR: Can you tell us about the free song by Caspar Babypants readers can get with your picture book? SL: The amazingly talented Kate Endle, who illustrated Old Manhattan Has Some Farms, is married to the equally talented musician, Christopher Ballew, A.K.A Caspar Babypants. He volunteered to record the book’s text as a song. I’m tempted at readings to just whip that out and play it for the audience while I turn the pages, but in the interests of being more interactive, I gamely sing book with my less-than-professional voice. And audiences are great about singing the refrain with me: E – I- E – I – Grow! GRWR: Is there anything else you’d like to add before we all head off to buy some seeds? SL: How about a healthy tip? Right now is a great season to buy organic grapes. My favorites are the black seedless. Pluck them off the bunch, wash them and let them dry on a baking sheet or paper towels spread out on a table. Once they are dry, bag the now clean, ready-to-eat grapes and freeze them. They are the most terrific snack. My daughter says they’re better than ice cream. And they will last long beyond grape season. HAVE YOU SEEN MY DRAGON?, (Candlewick Press, $16.99, Ages 2-5) written and illustrated by Steve Light, is reviewed by Ronna Mandel. Steve Light’s charming and clever counting book, Have You Seen My Dragon?, takes us all over Manhattan soaking up the sights and counting various things found there. Light’s latest book was a recommended read by book buyer and author Catherine Linka and now I’m sharing her tip with you. 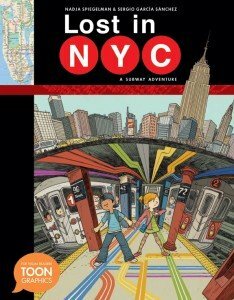 And speaking of tips, Light’s book includes numerous modes of transportation kids want to see in a busy city: taxis, subway cars, bikes, boats and buses, all for the counting – there are 16 subway cars and 17 taxis in case you were wondering! Whatever item is being counted is highlighted by being the only color on an otherwise detailed black and white page. What a marvelous way to grab kids’ attention and pull them back in again and again to search and savor every lovingly drawn line. I’m a former New Yorker so I especially appreciated this free ride to my hometown. 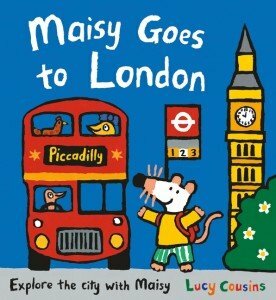 As readers we wind our way all around the Big Apple with a little lad who is searching for his pet dragon. The beauty of this picture book is how Light has created a captivating counting story using inviting pen-and-ink illustrations that yield beautiful surprises as young readers seek and find the cheeky dragon. All the while your child may be looking out for the hidden-in-plain sight dragon, you’ll be noticing humorous little gems that Light’s illustrated to keep you on your toes. Take the monkey, for example, just under the dragon fountain. He’s reaching for the zookeeper’s keys! From Central Park to China Town, with patches of pinks and reds and purples scattered throughout the pages, there is simply so much to see and enjoy in Have You Seen My Dragon? 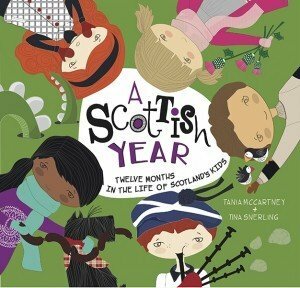 I have no doubt you’ll agree that this picture book has everything youngsters want in a picture book and then some. Enjoy your trip! Click here for activities, author notes and more.